In general, cordless hedge trimmers weigh much less than their gas counterparts but relatively the same as electrics. Gas trimmers can weigh up to more than 17 pounds, and both electric and cordless hedge trimmers can weigh 9 pounds on average. But because cordless trimmers eliminate the need for long extension cords, they provide excellent portability. Although not as powerful as gas-powered models, these trimmers can be a good alternative for larger areas. The key feature of a cordless is the battery. Some brands boast their lithium-ion batteries, and others kick it up one notch by introducing other features such as LED meters. This video is a comprehensive review of the Makita LXHU02Z. The speaker gives you an overview of the parts, and before he says goodbye, he takes the device outside and show us a little demonstration. TIP: You can skip to 2:50 for the actual review. Not all brands of battery-operated hedge trimmers are created equal. If you’re on the market for one, here are the best-rated models available online today. This list is based on ratings, feedback, and comments we’ve gathered from major online retailers. Black & Decker easily tops this list because several of its cordless trimmers have been given stellar ratings on Amazon. We chose to put the Black and Decker 36V Lithium Ion 24-Inch hedge trimmer in the spotlight because it is equipped with a 36V-lithium battery. 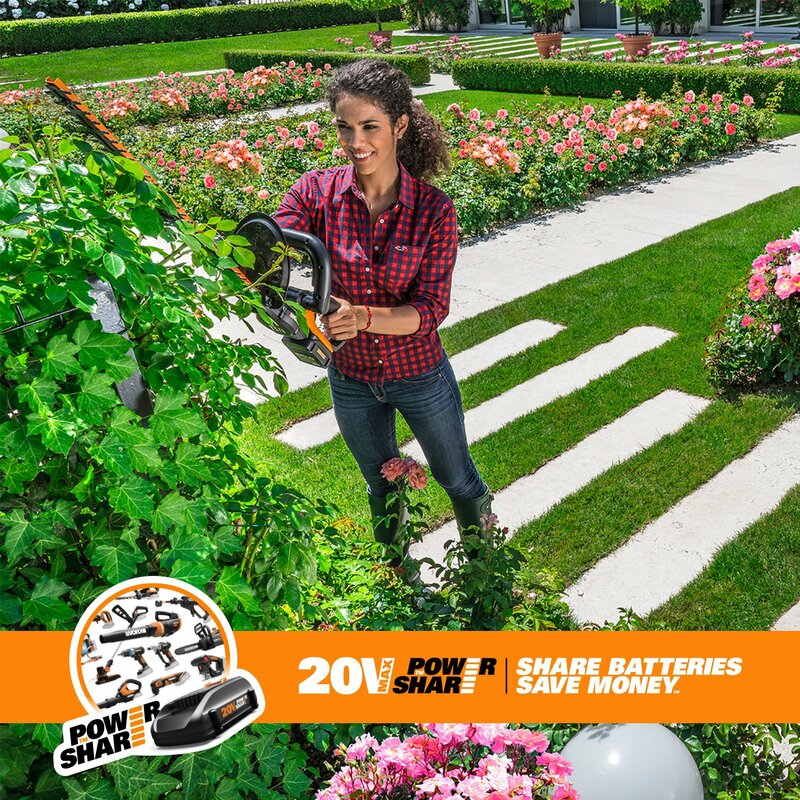 Meaning, among the Black & Decker cordless trimmers, this gives you the longest battery life. Here is an up-close image of the LHT2436’s blades. From the available consumer reviews and feedback online, here are the pros and cons of the product. – In rare occasions, some consumers have complained of loose parts and engine getting burned after two uses. You can always use this product’s warranty to get things fixed. You can also check out these other Black & Decker models with high ratings. Based on the features, this product promises these benefits. As advertised, it’s lightweight, so expect a reduced operator fatigue. Next, the motor delivers increased cutting speed, and its 22-inch blade provides increased capacity. It’s also 25% quieter, so it should not bother your neighbors. Are these promises met? Let’s take a look at the pros and cons based on consumer feedback. According to consumers, here are the pros and cons of the product. A cordless hedge trimmer is ideal if you are a non-gardener or a “lazy trimmer,” as others would put it. It is lightweight, you don’t have to worry about cords and where the nearest socket is, and you don’t need to mix gas and oil. If you are going to purchase a cordless, you must be picky with the battery. After all, it is its main feature. Lithium technology batteries are supposed to outlast their non-lithium counterparts. Plus, they are also lighter (30 to 50% lighter). So get those lithium-ion powered models, and choose the right voltage for your needs. Aside from that, be picky with the charger. Choose a fast-charging charger, and if possible, one that reduces energy usage. 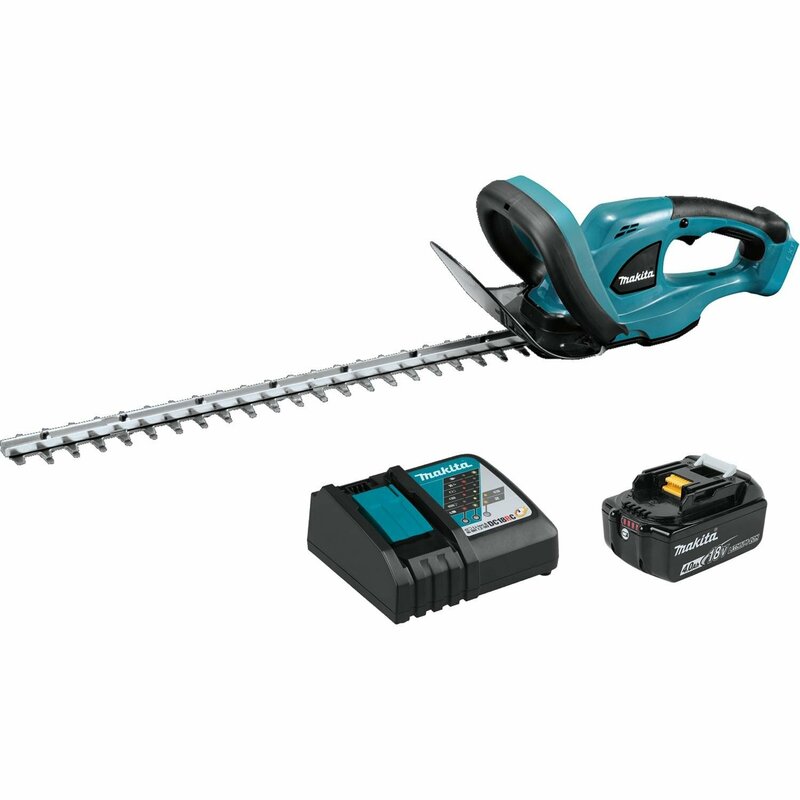 Click here to see more cordless hedge trimmers.